Since Osmotex launched the HYDRO_BOT technology at the ISPO fair in Munich early 2017, the Osmotex Research and Development (R&D) team has been fully dedicated to get HYDRO_BOT ready for commercial launch in 2018. 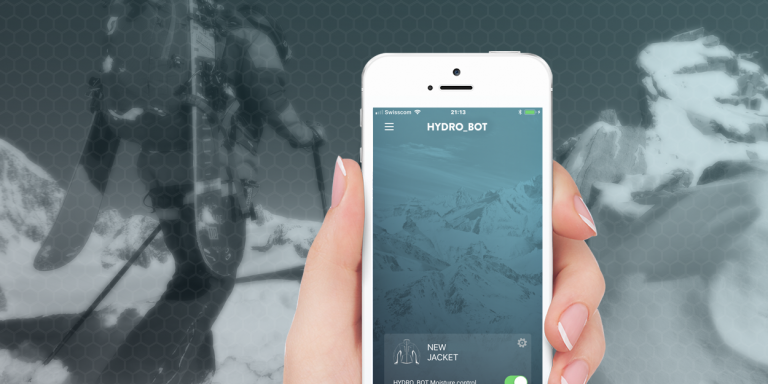 The work involves partners at many levels and development of several technical aspects of the HYDRO_BOT solution; such as the panels; electronics; mobile application; and how to best integrate HYDRO_BOT into the garments. “We are tracking to our initial plan to launch a commercial product during 2018 and all the work we have done in 2017 make our solution robust and ready,” says Trond Heldal, director of R&D and Operations at Osmotex. Applycon has been chosen as the new preferred electronics system supplier for HYDRO_BOT. They will replace Belginova who no longer fulfil the role of strategic electronics partner. Applycon is a Czech-based development and production company solely focused on wearable electronics, intelligent textiles, connector technologies, and cable assemblies. Applycon and Osmotex have developed customised miniaturized electronics for HYDRO_BOT with the first washable packaging with connectors and pushbuttons. In addition, Osmotex has engaged an application developer that developed an IOS mobile application that works very well with the electronics supplied by Applycon. The design and functionality of the application and the electronics have been defined by Osmotex. The first-generation panels are now ready for commercial use. They will be washable with 30 degrees Celsius with certain limits. Osmotex has developed the washable coating with JSR Micro. To ensure a robust complete solution, there has also been focus on electrodes and lamination, through R&D collaboration with Professor Christos Comninellis at EPFL in Lausanne for electrodes. Schoeller is the strategic partner for production of the panels and since the technology launch, considerable effort has been put into preparing for volume production. Together with Schoeller Osmotex have established a professional quality panel production making it possible with a sophisticated solution for electronic connections. Another focus area for the R&D is how to best integrate the HYDRO_BOT solution into the garments. The collaboration with Empa has been essential to ensure that everything works as it should. HYDRO_BOT effectively allowed sweat to evaporate from the skin and base layer, leading to the necessary cooling without getting soaked and uncomfortable. The jackets were tested under the intended activity of alpine skiing, but also performed very well under the extreme condition of fast off-piste climbing with cross country skis, as well as indoor resting and driving a car. The tets covered a temperature range from +22 to – 18 C.